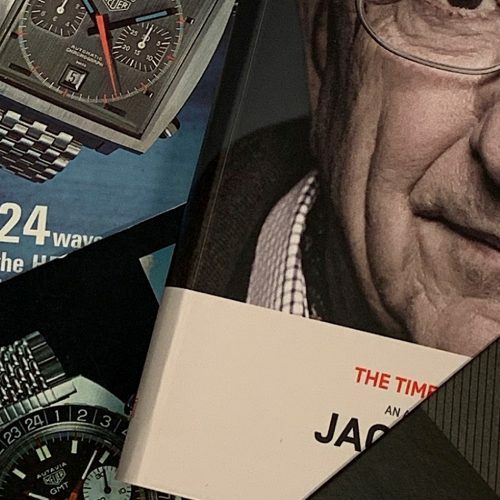 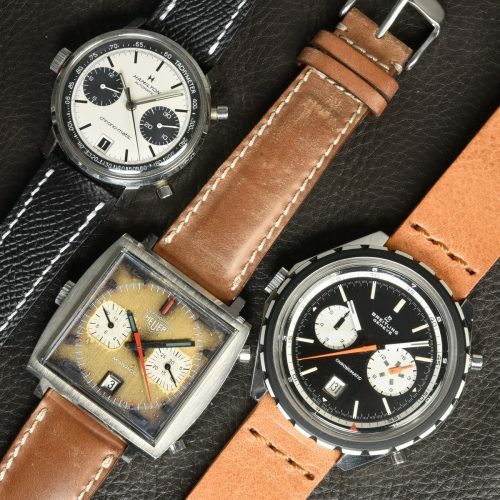 Among the most prized of the vintage Heuer chronographs are the “Chronomatics” — the very first automatic chronographs introduced by Heuer, in Spring / Summer of 1969. 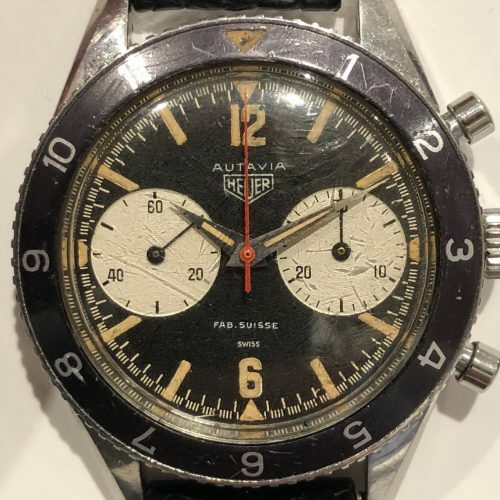 Heuer enthusiasts can rattle off the four versions of the Chronomatics — two Autavias (the white-dialed “Siffert” model and the black-dialed “MH” model); one Monaco, in “midnight blue”; and one Carrera. 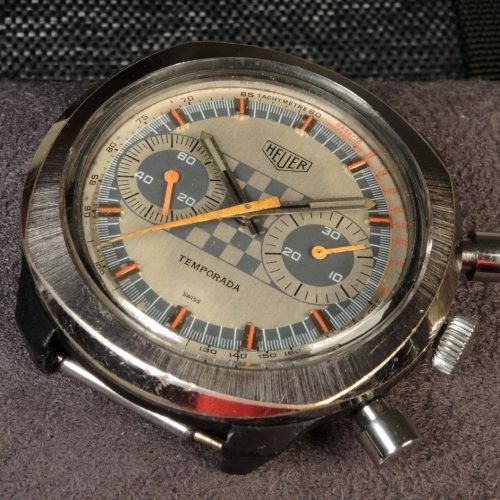 See our posting, The Chronomatics — Rarest of the Vintage Heuers. 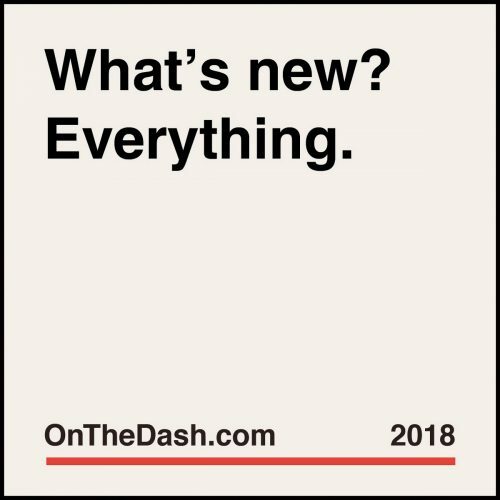 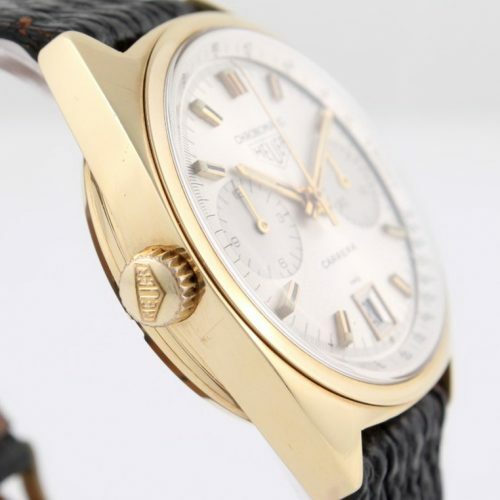 With this update of OnTheDash, we have added photos of a fifth model of the “Chronomatic” — the 18 karat gold Carrera, Reference 1158. 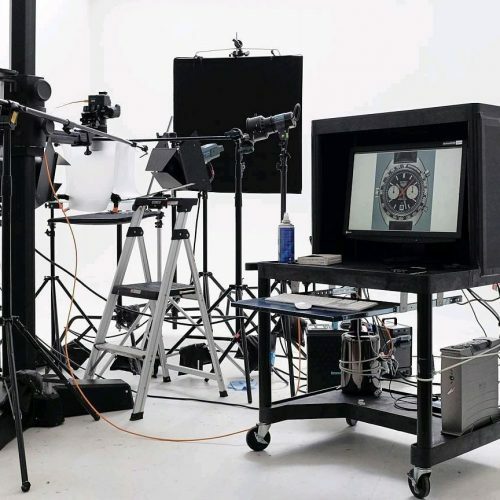 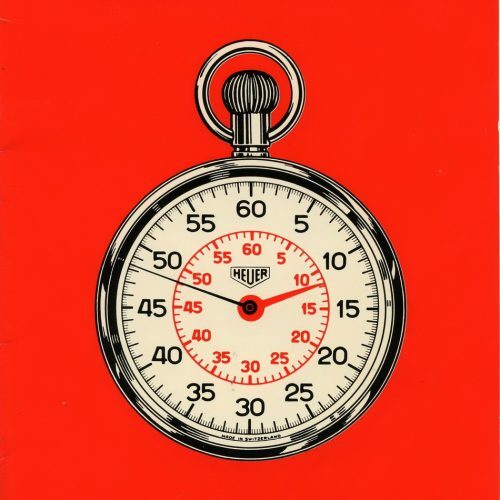 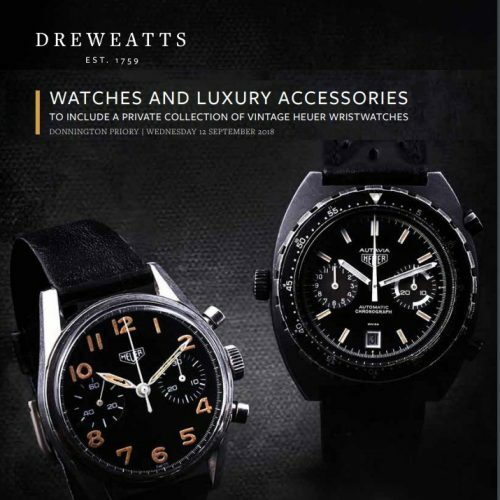 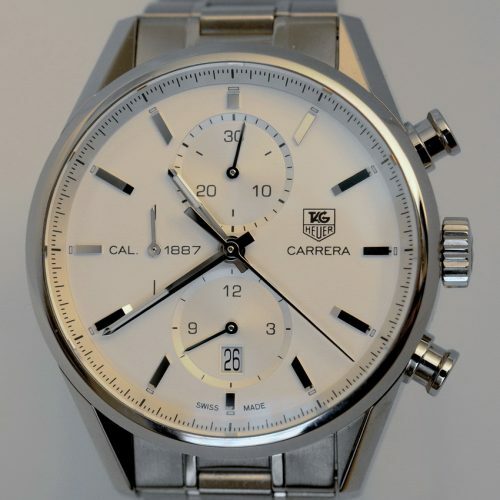 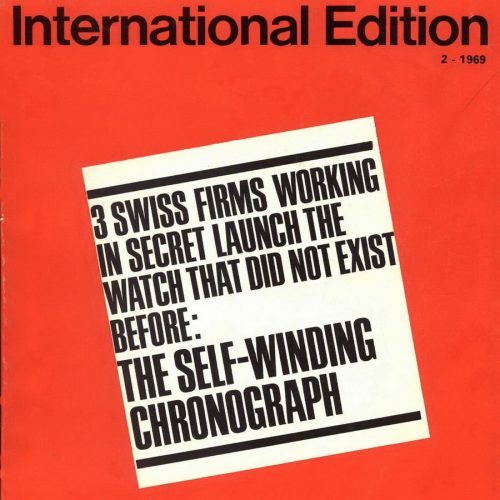 TAG Heuer has suggested that the company produced only 500 of the Reference 1158 Carreras, over the period from introduction in 1969 through the end of the line, circa 1979. 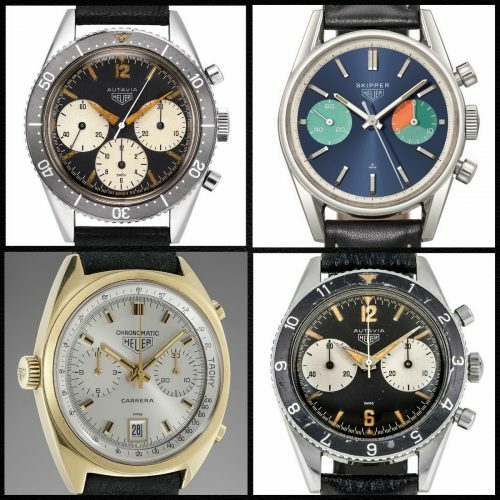 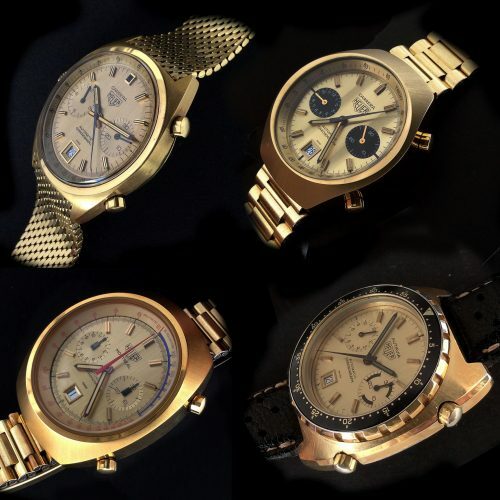 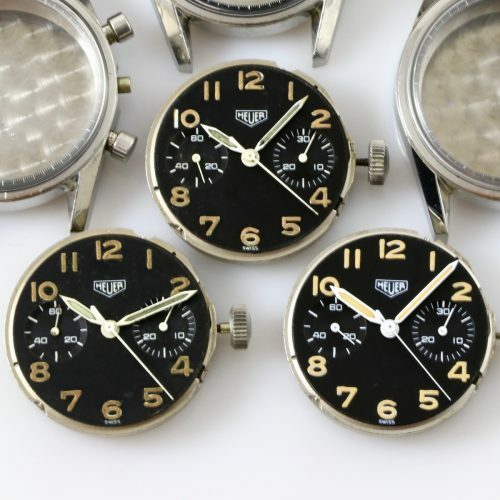 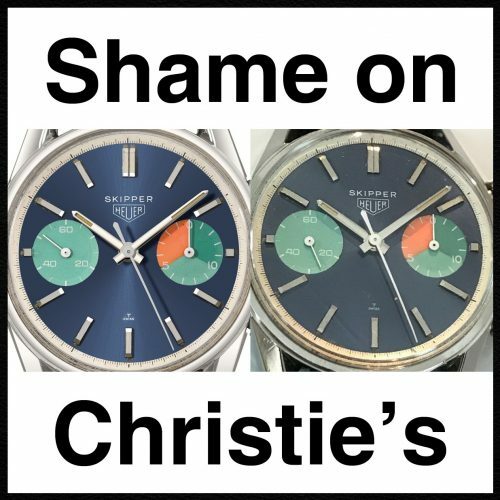 These Reference 1158 Carreras are divided between those with silver dials (“S” designation); those with champagne dials (“CH” designation) and those with champagne dials and black registers (“CHN” designation). 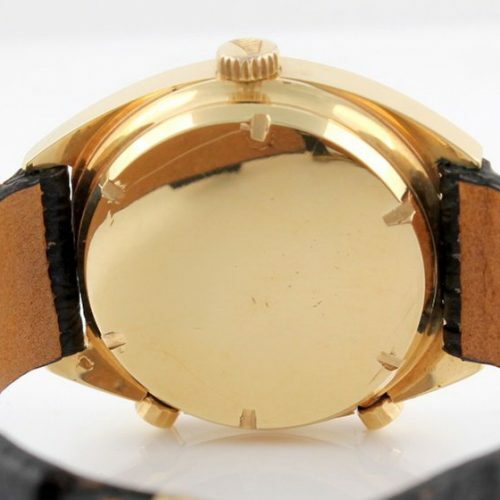 The following are some of the noteworthy elements of this watch. 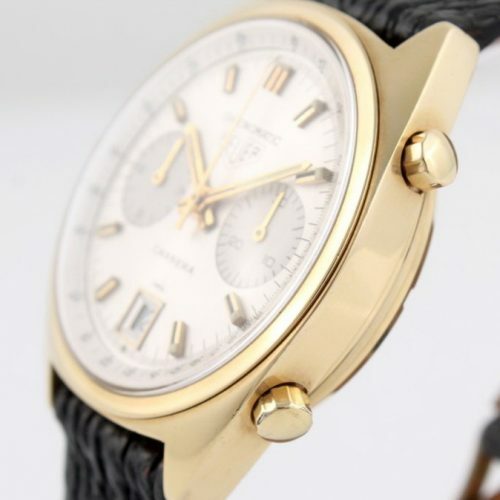 As with all the “Chronomatic” models, we see “Chronomatic” across the top section of the dial, with the model name (in this instance, “Carrera”) across the bottom of the dial. 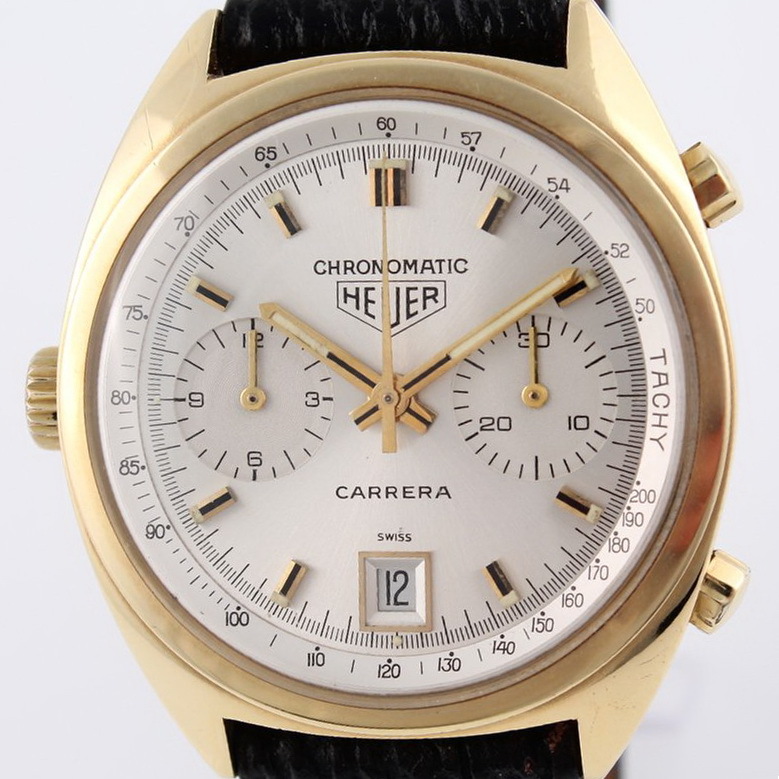 The hands are polished gold, with black and luminous inserts; all later versions of the Reference 1158 Carrera would have brushed gold hands, with black edges. 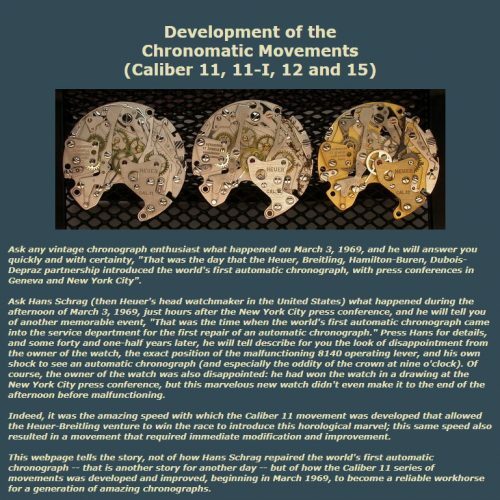 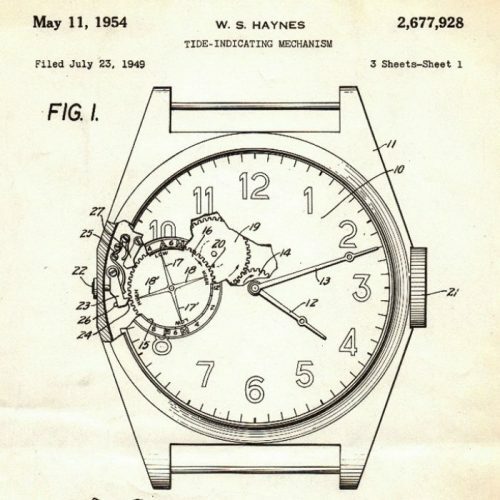 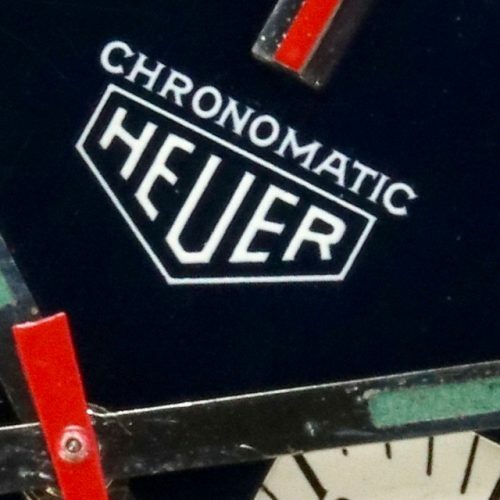 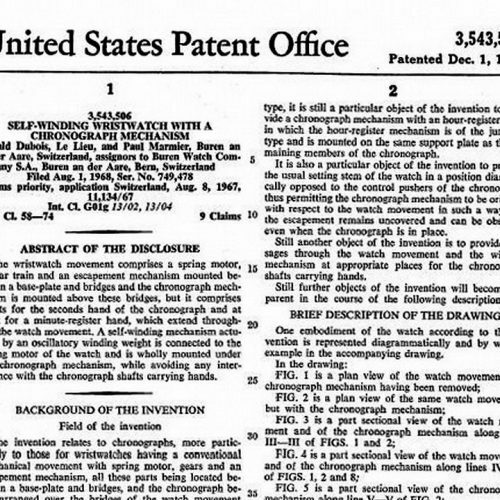 As on other early executions of Heuer’s automatic chronographs, the hour recorder has numerals 3-6-9-12; later executions of Heuer’s automatic chronographs would have all 12 numerals, 1-through-12. This 18 karat gold Chronomatic Carrera is one of the rarest of the vintage Heuer chronographs. 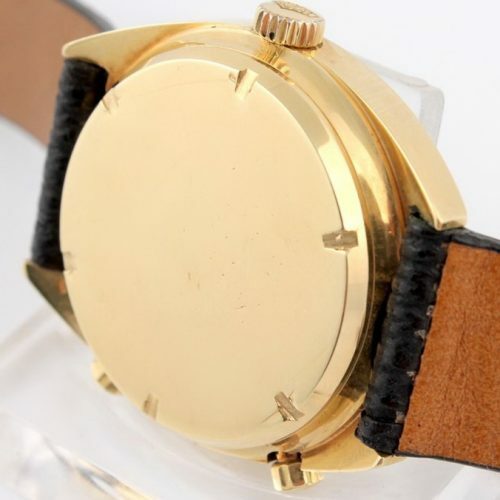 The sample shown in this note was sold by a German dealer in Summer 2015, but no other sample has been seen in the market. 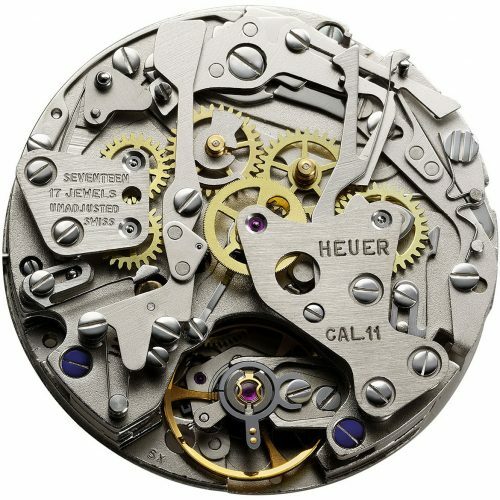 We have, however, seen one loose dial for this model.